The Marathon Shoe Company East Side Plant, located at 1418 1st Street (historically 1414-1424 1st Street) in Wausau, Wisconsin, was listed in the National Register of Historic Places in January of 2017. PVN worked with a developer and the City of Wausau to determine that the building is historically significant under National Register of Historic Places Criterion A for its representation of the Marathon Shoe Company, a leading industry in the City of Wausau in the first half of the twentieth century. The shoe industry in the United States originated in New England in the mid-seventeenth century, and the eastern seaboard region dominated the industry well into the late nineteenth century. During this period, the industry evolved from itinerant cobblers who would travel from home to home—handcrafting shoes over wooden lasts (mechanical forms with a shape similar to that of a human foot) to an industrial system—aimed at wholesale markets—that depended upon a mix of hand crafting and machine sewing. 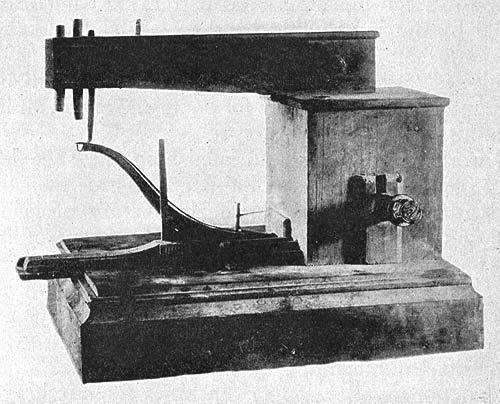 The invention of the sewing machine in 1846 and the expansion of rail networks in the late eighteenth and early nineteenth centuries allowed shoemakers to expand both their outputs and their markets. As the shoemaking industry expanded, manufacturers sought alternative methods of securing soles to uppers. Wooden, and later metal, shoe pegs were replaced with shoe nails, wire, screws, and a variety of adhesives. An advance was made in 1858 with the development of the McKay sewn shoe. In McKay construction “the upper is fastened to a flat insole with tacks and the outsole is fastened by means of a chain stitch.” A filler, often paper or felt, was secured between the insole and the outsole. Because the insides of McKay shoes could be rough and uncomfortable, various attempts were made during the 1860s to develop a machine that could remedy the problem. This work culminated in Charles Goodyear, Jr.’s successful invention of a welt sewing machine in 1869. Welt shoes are shoes in which a strip of leather is used to affix the sole to the upper. Long produced by hand, welt shoes were highly desirable because the leather welt made for a stronger connection between the sole and the upper, the seams did not touch the foot, and the shoe had a cork filler; as a result, the shoes had “a perfectly smooth inside surface.” Finally, the welt could be replaced when well worn, which allowed a pair of shoes to have a very long life. Hand sewn welts required a high degree of skill, which made welt shoes very expensive. Goodyear’s welt sewing machine allowed for a high quality shoe to be produced on a mass scale. The mechanization of shoe production, the continued expansion of rail lines, and a growing leather industry saw Missouri, Illinois, Michigan, and Wisconsin emerge as new leaders in the shoe industry by the beginning of the twentieth century. The Marathon Shoe Company was organized by Sigmund J. Pentler in Wausau in 1914; Pentler had long been involved in the shoe business and had served as the secretary and general manager of the Rich Shoe Company in Milwaukee prior to relocating to Wausau to establish his own enterprise. Pentler served as the secretary, general manager, and leather buyer for his new concern; his officers were Charles Dodge, president, William E. Dodge, vice president, C.G. Krueger, treasurer, and Oscar R. Short, superintendent. The company constructed a 50 x 120 foot, three story factory building, later known as the “west side plant,” located at 325 1st Street, for $25,000 in the fall of 1915. At the time, the Marathon Shoe Company had thirty five employees and manufactured barefoot sandals. In the winter of 1916, the company installed new machinery in the factory and had grown to a workforce of seventy-five employees who turned out between 700 and 1000 shoes each day. Marathon Shoe Company expanded the factory in 1919 and, in 1920, conducted over $1,000,000 worth of business. [Differed] from every other process of shoe making. The insole [was] channeled from the underside (the side that comes into contact with the outsole). Through this channel the insole is permanently inseamed all around to the upper lining. By this process of inseaming all tacks, staples and other metal fastening [was] eliminated. The upper linings are firmly lasted down to the wood; the stretch is taken out so the shoe keeps its shape. The shoes also had a “patented nerve-resisting shock absorber” and a “patented nailless heel seat.” The Pentler and Short Process was a variation on the Goodyear Welt, but did not require an “inner sole” or filler. Ross Thompson, The Path to Mechanized Shoe Production in the United States (Chapel Hill: The University of North Carolina Press, 1989), 7. Harold R. Quimby, Pacemakers of Progress: The Story of Shoes and the Shoe Industry (Chicago: Hide and Leather Publishing Co., 1946), 34. Quimby, Pacemakers of Progress, 135. Quimby, Pacemakers of Progress, 13. “Marathon Shoe Company Will Double Capacity,” Boot and Shoe Recorder: The Magazine of Fashion Footwear 82 (December, 1922), 90. “Shoe Factory Contract Let,” La Crosse Tribune, October 9, 1915; “Shoe Factory Nearly Ready,” La Crosse Tribune, January 12, 1916. In 1914, there were two varieties of “barefoot sandals” on the market. One style was “made from a single piece of sole leather and many yards of fancy ribbon [or leather] for winding about the ankles and holding the sole in place.” However, the “barefoot sandal” produced by the Marathon Shoe Company was a leather t-strap style shoe with two straps that were secured with buckles (See Figure D). American Shoemaking 51 (April, 2014), 165; “Highest Grade Barefoot Sandals,” Boot and Shoe Recorder: The Magazine of Fashion Footwear 81 (April, 1922), 49, “Marathon Shoe Company One of Finest Concerns City Possesses,” Industrial and Historical Edition of the Wausau Pilot January 1, 1921. “Shoe Factory Nearly Ready,” La Crosse Tribune, January 12, 1916. Shoe and Leather Reporter Annual, 1919 (Boston: The Shoe and Leather Reporter Company, 1919), 705. “Marathon Shoe Company Adds Additional Factory,” The Boot and Shoe Recorder: The Magazine of Fashion Footwear 79, no. 1 (June, 1921), 115. “New Welt Process Used by Wisconsin Company,” Boot and Shoe Recorder: The Magazine of Fashion Footwear 79, no. 1 (June, 1921), 115. “A New Sandal for Women,” The Boot and Shoe Recorder: The Magazine of Fashion Footwear (May, 1922), 117. S.J. Pentler and O.R. Short, United States Patent: 1681623 Stitch-Down Shoe And Method Of Making The Same,” August 21, 1928.